Sofas. Probably the last thing you would imagine to be at the forefront of candidate experience but you’d be wrong. 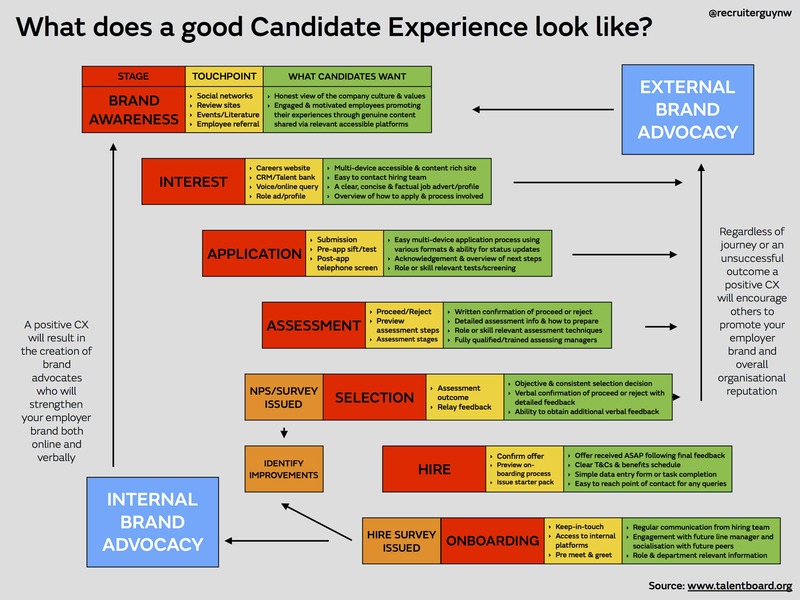 I recently caught up with Ben Gledhill who is the Talent Acquisition Manager at Sofology and creator of a very interesting model for candidate experience (see below). They are on their way to becoming a fully digital omnichannel retailer and are doing lots of cool stuff with tech for their customers as well as for their candidates. You can listen to my interview with Ben below, or read on for a summary of our conversation. Also, be sure to subscribe to the Employer Branding Podcast. What is your definition of candidate experience? I guess, maybe five, six years ago it was just a case of you had an ATS, you had an application process and candidates would apply. You offer or reject them, and then you just go back to the beginning. Then you do that all over and over again. 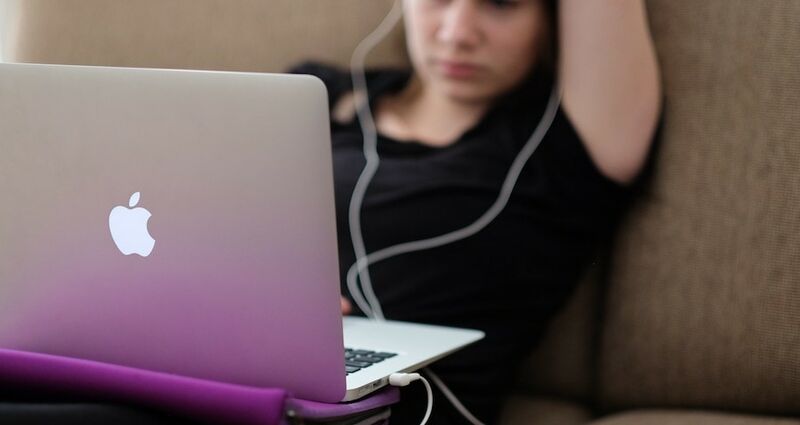 With the real emergence of employer branding, the kind of social media-heavy world that we live in now, things like a company’s reputation, and more importantly, the impact that candidates and recruitment can actually have, can impact on the consumer brand as well. It’s so, so important now. So I guess for me candidate experience isn’t just about giving candidates good feedback. It’s not just about making sure that the hiring manager has training. It’s about the end-to-end process of building the basis of a good employee journey throughout the process but also, if you are a rejected candidate, making sure that they become brand advocates. So they don’t only praise your recruitment function but they also praise your organization as a whole as well. Which, if you are a consumer brand, it can have a huge impact on your profit or, potentially, loss. What inspired you to create a model for candidate experience? I guess my real inspiration for creating the model was I just couldn’t find a template or a model to work from or use as almost like a term of reference. I’m a big fan of the work that Gerry Crispin has done and the Candidate Experience Awards, both in Europe and the U.S. And so I took the feedback that we get from our own candidate surveys, some of the feedback that those guys have collated last year, and I looked at the real process that the candidate will go through. So, it starts off with the brand awareness – “what do they know about Sofology? what can they understand? what can they find?” And actually, comparing that to, “what do they want?” Probably the biggest bugbear for a candidate, is not knowing what the process looks like. So very easily, when we remodeled our careers website last year, we created a couple of files which shows, very simple in a matrix form, what role goes against which assessment technique so they know exactly how they will be assessed, and what will happen through the process. So “what does a pre-screen involve? what does a psychometric test involve? If they are successful, what does the onboarding process look like?” Because for me, at one point or another, we’re all candidates and we all go through the process. So if we can give candidates as much information as we can, hopefully, that will not only inform them but it will alleviate our workload because you’ve given the candidate all the information that they need. So it’s just really about taking this gigantic journey that can look a bit, “wow, this is a little bit scary!” and just breaking it down to really easy, manageable chunks that people can go away, work on a project, come back, slot it in and it can work really well. Where should the typical company start? I always think that you can’t really tell other people to do things if your own house is not in order. I think for us, it was very much around the careers website. I don’t think it was up to date enough. I don’t think there was enough information on there for the candidate to make a real conscious and objective decision to apply. I think that the interview and assessment process can be very mix-and-match to what you’re looking for. So, for example, “why does a senior candidate need to go through very basic questions?” On the flipside of that, “why does a junior candidate have to go through a three or four stage interview process?” But I think the big one for me is the actual application process. It’s the “how do I submit a CV? how do I submit a LinkedIn profile?” And I think at the moment our application process is around about five to seven minutes with about four or five clicks. We have taken that down a lot. So, for example, a lot of feedback was, “I haven’t got my national insurance number,” so we took it out. So it’s just the little tweaks like that because, for me, everything needs to mirror the consumer way of working. So I think last week, I ordered something off Amazon. It was two or three clicks. So there’s no reason why an application process for a candidate should be any different. How can we measure candidate experience and make sure that we use the data well? And when we first kicked off the process, we had a lot of negative comments because there was probably a lot to fix. But, as time’s gone on, we’ve managed to take away things and improve them. So I guess, for us, the two biggest things was the feedback. So now, every candidate that applies will get a notification. They will get feedback as to whether we will progress or not progress with a little bit of detail there. But after the actual face-to-face assessment, they will get full verbal feedback but they’ll also get access to further feedback from the hiring manager if requested, just to help them in their next application, or job search or whatever. And the second one was around hiring manager capability. So we had a lot of negativity around the actual individual capability of our hiring managers so what we did, we created a very simple hiring manager training module as part of our learning academy. With things like “interview,” “etiquette,” “how to structure a competency-based question,” “how to probe without being aggressive.” And all of a sudden, you started to see the individual’s scores for our assessors go up, and up and up. So, as with the process as a whole, it’s about taking a problem, breaking it down, looking at a sensible solution, and then moving forward and implementing it. Follow Ben on Twitter @RecruiterGuyNW and subscribe to the Employer Branding Podcast.